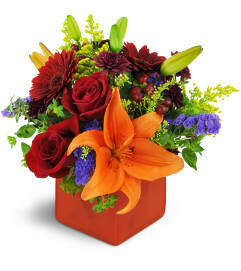 Your heart overflows with love, and this luscious floral gift shows it without saying a word! Tender pink and blue blooms are perfect for celebrating a new baby or a special occasion in a young lady's life. 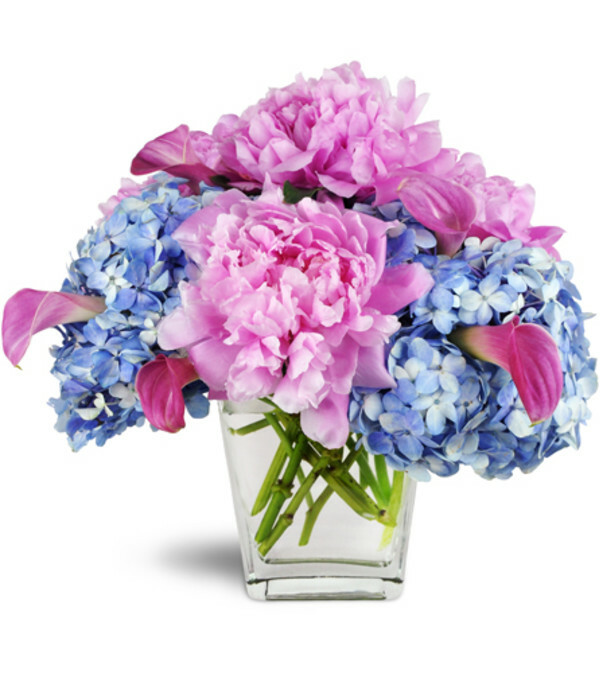 Pink peonies, blue hydrangeas, and distinctive mini calla lilies make this gift a cut above the ordinary. Blue hydrangea, pink peonies, and pink mini calla lilies are arranged with stock greenery in a clear square glass vase. The arrangement was beautiful and delivered earlier than I expected considering I placed a same-day order. Thank you! The flowers were a tad expensive, but the smile they put on my fiancee's face made it worth it. Beautiful flowers, delivered on time. Martha Rea's Florist is a Lovingly Florist in Montgomery. Buying local matters. Discover how Lovingly supports local florists. Copyrighted images herein are used with permission by Martha Rea's Florist.